Commence™ seed treatment is an easy way to improve wheat health, reduce the effects of stress and boost yield. 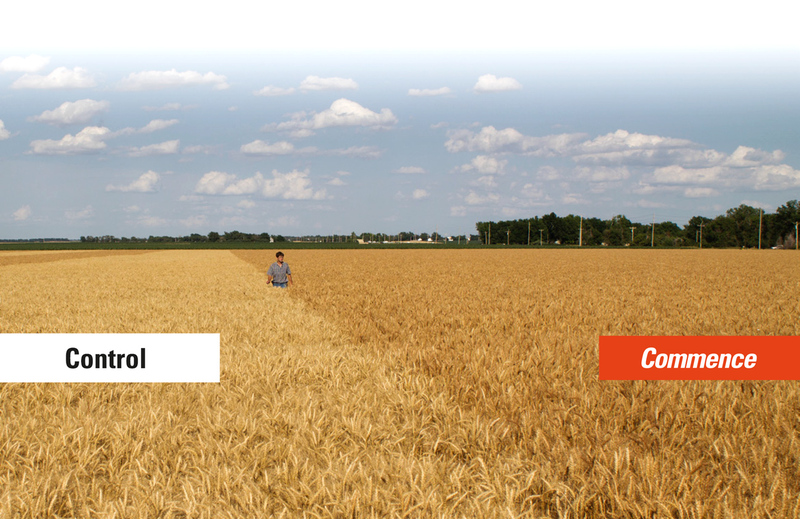 Add Commence™ to other seed treatments or apply directly to wheat seed for greater profits. 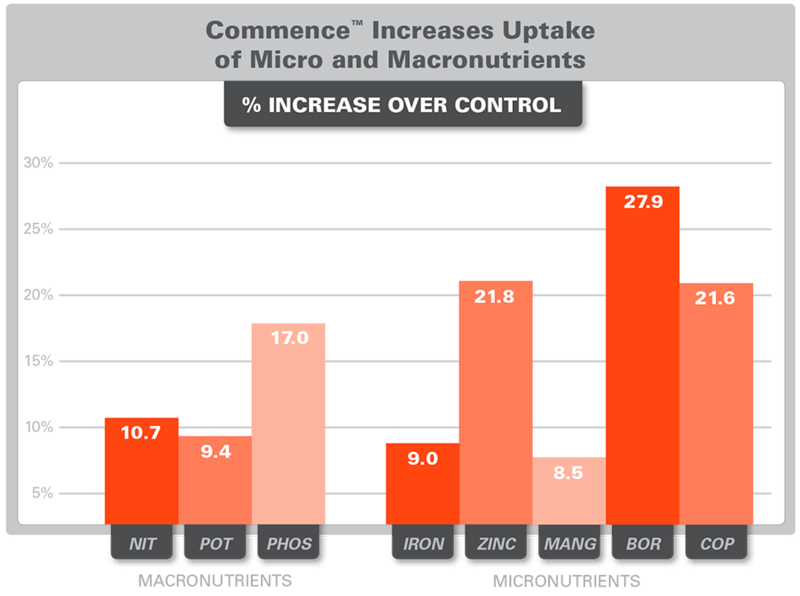 Commence™ liberates micro and macro nutrients by stimulating microbial activity. Seeds meet their genetic potential when required nutrients are readily available immediately after germination. Plant health increases when wheat takes up more available nutrients. Healthier wheat is better able to withstand stress and produce greater yields. 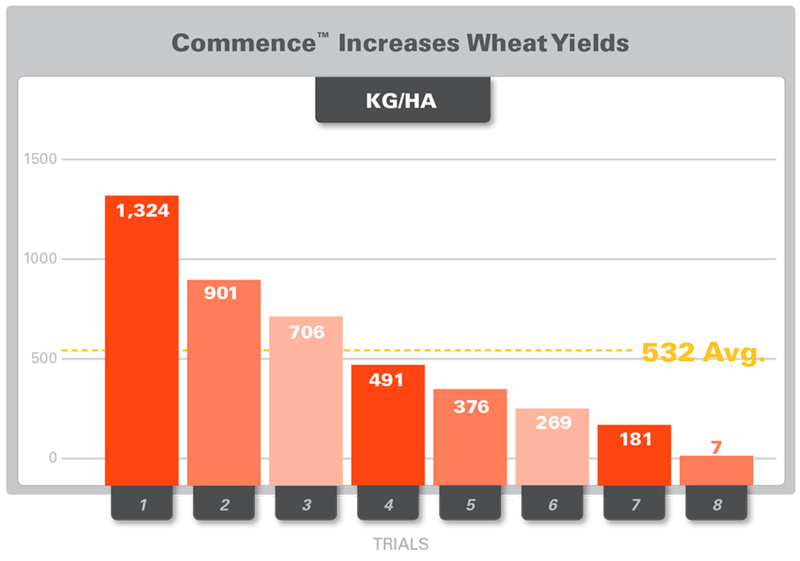 Across a range of trials wheat treated with Commence™ consistently performed better when combined with a standard insecticide and fungicide seed treatment than the seed treatment alone. Seed treated with Commence™ averaged 532 more kg/ha. Commence™ is formulated with two technologies that are only available from Agnition. Microbial Catalyst technology and ProCoat™ create a microenvironment were every seed meets its genetic potential. ProCoat™ encapsulation technology is a unique film-forming polysaccharide that adheres the active ingredients in Commence™ to seed for maximum benefit. ProCoat™ makes Commence™ a great standalone product and is an extremely compatible technology that improves any seed treatment combined with Commence™. Microbial Catalyst technology is a proven technology that stimulates beneficial soil microbes for healthier crops. Microbial Catalyst technology increases the number and activity of beneficial microorganisms that liberate the nutrients plants require to thrive.